The one brand that really nailed catering to every demographic present in the vaping community, is VaporFi. They have a top shelf quality product for absolutely everyone, it does not matter if you are a first time beginner, or a seasoned vaping veteran, VaporFi has something great to offer to all levels of users and needs. They have great design, solid build quality and even produce their own line of e-liquid flavors in house, offering a huge variety of amazing flavors. You may also have heard of Eversmoke and South Beach Smoke, which are sister companies under VaporFi. Let’s have a look at what this industry leader has to offer. A selection of devices that is hard to beat, but more importantly, detail in making even the more basic devices very versatile, easily meeting and surpassing the needs of everyday users. With their leading in-house e-liquid manufacturing, VaporFi delivered on every front. Beginners can even enjoy the benefit of video tutorials for each device. We highly suggest them to all levels of users. Design and quality build with VaporFi is almost certain to satisfy most, and we say that honestly. With 6 different devices to pick from, selection is not lacking either. 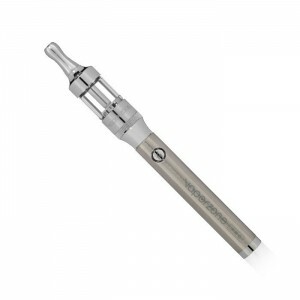 The basic electronic cigarette Express Kit model looks like all traditional white analogue look-a-like batteries and feature a shiny crystal tip. The Express e-cig is a 2-piece design with cartridges that hold a disposable atomizer, making it the right choice for users who want simple, care-free and more importantly maintenance free and low cost e-cigs. VaporFi also offers empty cartridges you can refill with any flavor of your choice, adding even more value to the simple but effective e-cig option. Even more fantastic, is that if you really want to experience the refillable tank option, they also offer small clearomizer tanks which can be washed and replaced, making the basic express kit an all-in-one solution at low cost. Moving up the ladder, you have the Pro Starter Kit. VaporFi’s Pro vaporizer is an eGo styled e-cigarette that has a larger 3.7V battery with longer lasting capacity and an e-liquid tank as opposed to using cartridges. The design is a 3 piece build, which is a cylindrical body battery, the cartomizer tank along with a removable and replaceable atomizer which fits in the cartridge tank. The extra battery life is awesome but the extra maintenance may be a turn off for anyone who wants to spend as little time caring for their products as possible. Build quality is solid, good threads and comes in different colors, which is very handy when using different tanks and flavors. 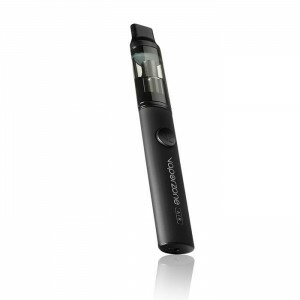 Next you have a small upgraded rendition of the Pro vaporizer, the VaporFi Platinum Pro. Unlike the color options of the regular Pro, this vaporizer is offered exclusively in a silver metallic finish. Other than the finish, the main difference with the Platinum Pro kit is that it features a bigger sized Platinum Clearomizer tank that can hold 2.5ml of e-liquid, 1ml more than the regular Pro-L tank. The build is similar but the tank features a polished screw base for a seamless fit, which does add bit to the total length of the vaporizer. The overall price is a bit higher but the tank is well made and works wonderfully for anyone looking for an upgrade. For the extra small cost, it may be worth to go for it and use in conjunction with cheaper tanks, but you are limited to the platinum color finish as opposed to a variety of glossy colors. 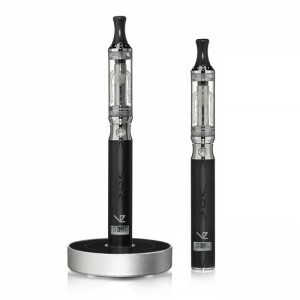 The next device is somewhat of a hybrid between a regular compact e-cigarette such as their Express Kit and an eGo device such as their Pro Kit. The VaporFi Air marries compact size and portability of an e-cig with the extra refillable e-liquid tank option to use with e-liquid bottles, but very importantly retains the convenience of e-cigs by making the cartridges disposable, instead of having to wash them. The power of the battery meets somewhere in the middle, giving it a boost compared to traditional devices without going over the top. Instead of being a 3 piece design with a separate replaceable atomizer, the Air vaporizer uses a disposable Air Cartomizer that lasts anywhere from 30 to 90 days depending on your usage frequency. The design features a cool oval shape that fits comfortably in the palm of your hand while remaining small in length. 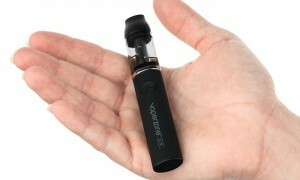 Once again, VaporFi developed somewhat of a cross hybrid device, but this time between an eGo vaporizer and those bigger variable power personal vaporizers. The Pulse Starter Kit is larger in size but is just as powerful as a Pro or Pro Platinum. It features a large 2.5ml cartomizer tank and a digital display screen that can also be used as a puff counter. It doesn’t have variable power options like PVs do, however, it comes with a cordless circular charging base and 2 batteries with the starter kit, so that you can put that charging base to good use. The cartomizer design is 2 piece, making this a 3 piece device with removable and replaceable atomizers. Finally, last but not least, you have VaporFi’s actual full-fledged Personal Vaporizer, The Rebel. This massive PV device is packed with features, from variable wattage and voltage, a telescopic body that can hold two powerful lithium ion batteries, compatible with all eGo and 510 threaded tanks and powerful enough for dual atomizer cartridges. The build is solid, and is ultimately a revised PV device available as a clone by other distributors. This device has too many details to cover shortly, so if you want to learn more, read our full detailed review here. Overall, with ANY and ALL of the VaporFi devices we tested, we we’re fully satisfied with the vapor production. One important thing to remember, is that good vapor does not only depend on good hardware and right temperature operation with solid atomizers, although that is the main vital stuff. E-liquid quality also plays a role. Small details like PG and VG based juices also affect it, but overall, good quality across the board means massive clouds and VaporFi delivered on all ends. From the very basic but ultra-convenient Express electronic cigarette device and disposable cartridges, all the way through the different eGo vaporizers, none of them disappoint in quality and performance. Vapor is possibly one of the top we have tested so far, and that’s without mentioning all the great flavors yet. Battery life and capacity was a bit tricky to judge over all the different devices, but luckily, the batteries remain similar in capacity and output power for most devices, avoiding the need to break your head or worry about picking the wrong device. 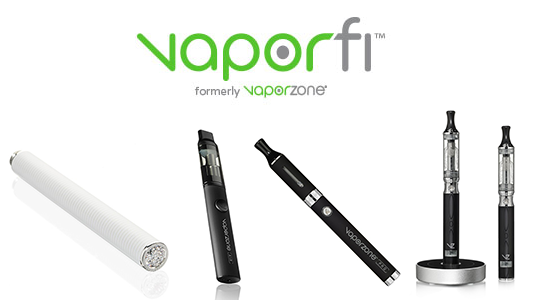 Below we quickly go over each type of device battery and specs that VaporFi has to offer. Traditional white batteries made to look like an analogue tobacco stick. Like most competitors, these batteries are up to par, anywhere from 4-8 hours on the high capacity and 2-4 hours on the standard battery for frequent usage. All three of those devices essentially use the same internal lithium ion battery and share the same power specs. With that said, each device may use a variety of tanks and atomizers that operate at different resistance levels, which means you may find longevity to differ from one to another but not by much. 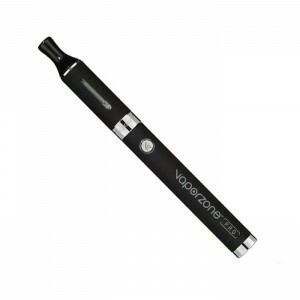 Overall the 650mAh battery should last anyone a full day without requiring charging, which is the main advantage of moving forward to a vaporizer. This comfortable palm-sized oval battery designed for the Air vaporizer is really a nice option for moderate vapers looking for something that lasts a bit longer than the average, but the real reason people would opt for this device is the disposable e-liquid tank cartridges and the compact size. With that said, it does produce that extra bit of power for when you need it most. VaporFi is simply an industry leader when it comes to flavors, simply because they operate one of the most successful and popular e-liquid manufacturing plants in the United States. Using nothing but the freshest, safest and qualified ingredients, the company has not only managed to secure a happy customer base, but they have also developed a wide array of flavors that passed the test of time and quality. New flavors are constantly created in-house and the blend of the month promotion offers a 25% discount to all customers. As for flavors, there’s too many good ones to mention in a list, we really invite you to discover them for yourselves. There is something for every taste, no disappointments to be had in this department. Right from the start, VaporFi offers a 30-day Money Back Guarantee that if for any reason, you’re not satisfied, you can return the product no questions asked for a full refund. The warranty itself leaves a bit to desire compared to some competitors offering lifetime battery replacements, and instead offer a rather short 90-Day warranty on all hardware. The Rebel PV, however, comes with a full year of coverage and rightfully so at its high price point, but overall, the customer service has been great and we have had no issues with the hardware so far. Additionally, faulty batteries will be detected in that 3 month range and replacement costs are low enough to ensure that your investment in switching to vaping pays off big time. Price points offered with the VaporFi starter kits are really interesting for anyone starting out or just looking for a high quality e-cigarette. 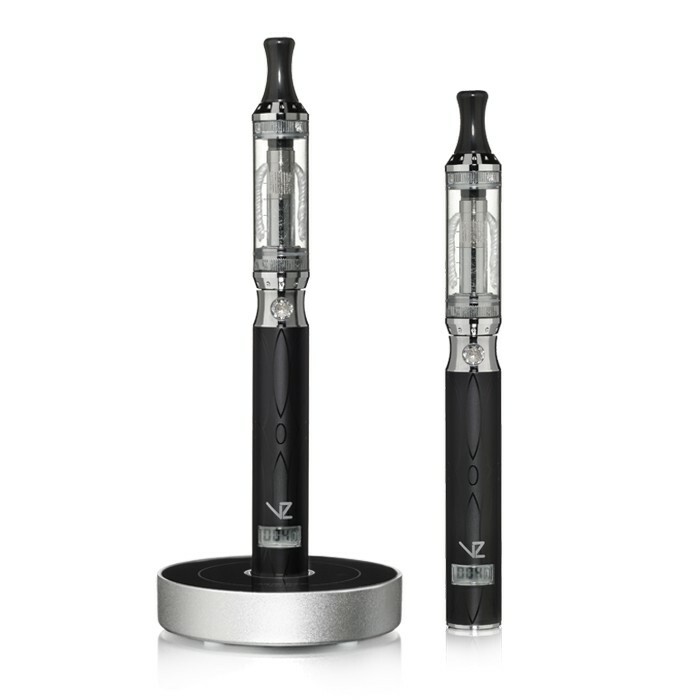 We highly suggest two kits over any other eGo or PV vaporizer model for a few reasons that we will go over. The first kit we highly suggest is the Express Kit, two traditional e-cig batteries, with classic pre-filled or empty fillable cartridges that can be conveniently transported and disposed of. First reason we suggest this kit is the entry cost of $29.99 for 2 batteries and everything you need to get started, minus some flavor cartridges of your choice. The second reason is convenience, beginners and users who wish to have no maintenance and cleaning to do, should favor disposable cartridges over tanks. The second kit we highly suggest is the VaporFi Air starter kit, for the exact same reasons as the Express kit. With an entry point of just $39.99, you get a bit more power, a really cool looking device with solid build and light indicators, but instead of a washable tank, you get the benefit and convenience of disposable tanks that last 1 to 3 months depending on usage. The size remains compact enough to easily fit in your palm or pocket with no risk of falling out or feeling too heavy, all while giving you a small boost in battery power, and longer cycles before having to re-fill or replace the cartridge. To finalize this lengthy in-depth look and review of VaporFi, everyone that took part in testing each individual vaporizer had a positive score across the board. 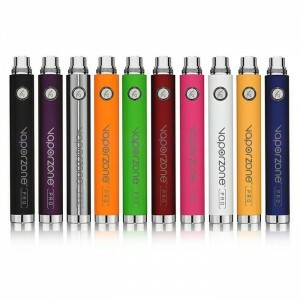 From vapor, flavors, battery life and build quality in general, this brand really brings the big guns to the table. Their low cost entry prices allow buyers to get an e-cig with little investment and only selecting cartridges of his or her choice. The investment is one we can suggest to absolutely everyone. This brand has been one of the top smokeless cigarettes manufacturer we have tested in years and the e-liquid line itself is also spectacular and kept us going back ever since. We are hooked!